House and Garden Soil A&B is suitable for both grow and bloom! 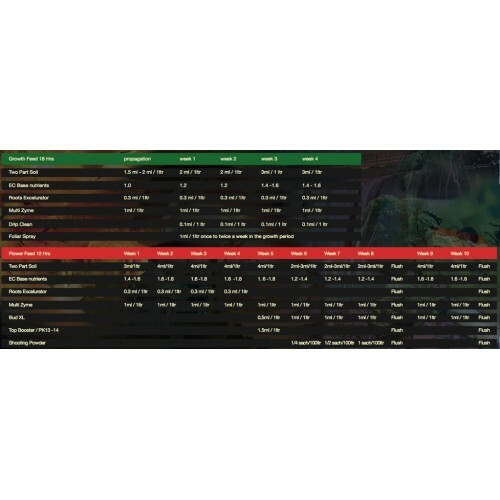 This outstanding 2 part Soil A&B feeding system from house and garden will ensure that your soil and nutrients are used to their maximum potential to ensure a bountiful and healthy crop. 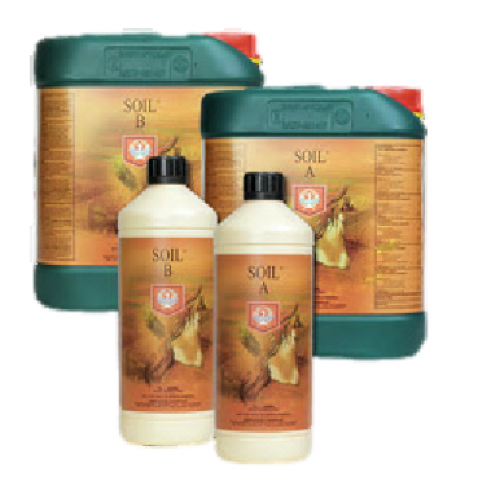 House and Garden Soil A&B will provide the utmost strength and nourishment during the entire growth process.This innovative product is made with natural ingredients to nourish your garden organically. House and Garden Soil A&B is made with high levels of calcium so it is meant for gardens with no lime content. This highly designed formula will ensure that your soil and vegetation are pure and fresh from seeding to harvest. House and Garden soil also works hard to prevent nutrient blockage and sodium buildup. Personal or commercial gardeners will find this product extremely beneficial for optimal plant growth, bloom and maturation.